Utility Potholing is a necessary process to maintain the integrity of underground utilities while working around them. Hoerr Construction performs expert hydro excavation to remove material with the least disruption possible. This method uses water to cut the soil, while a vacuum removes the resulting debris. 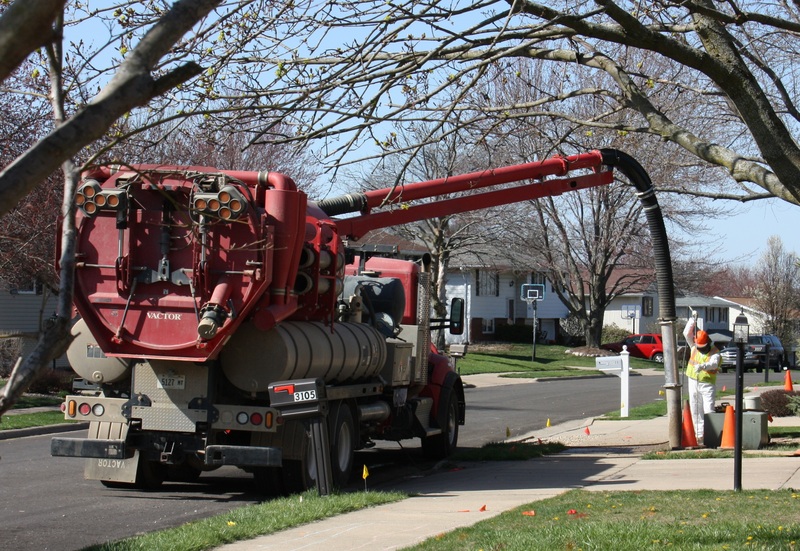 Hydro excavation offers a clean, noninvasive way to find utilities as a safe alternative to backhoe buckets. This methodology substantially reduces the costs of locating and verifying substructures by minimizing the man-hours needed to perform the task. • Trenching in areas where backhoes would be overly intrusive. • Potholing utilities before excavation or directional boring. • Trenching in areas where tree roots need to be protected. • Exposing utilities alongside foundations of buildings. • Digging sign or post holes in challenging areas.